Have you got 72.70 firmware to upgrade? Joaquin did you think how to balance the elements? 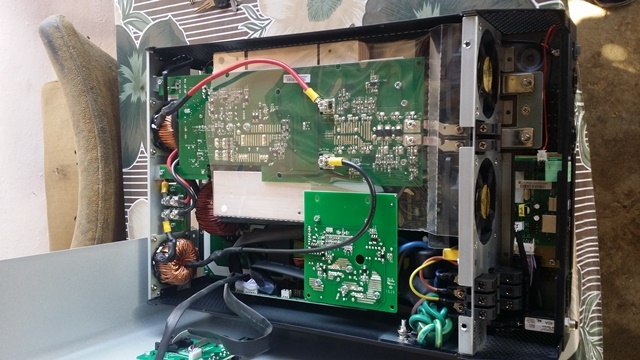 Did you notice any leakeage below the inverter? Do you see the PV icon on the display? 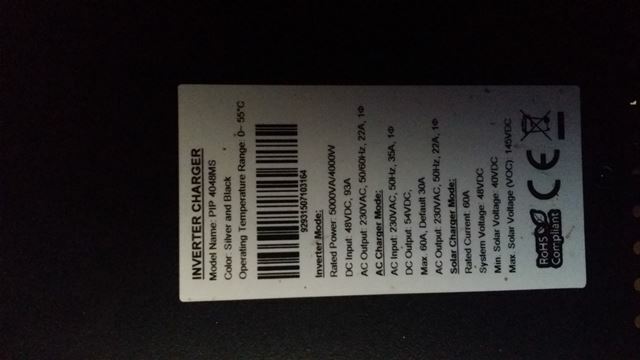 The unit is MPPT.When I opened the box i thought that is a wrong delivery, but the label is MS 4048.MPP solar confirmed that they changed the case after July 2015. The problem is the MPPT board, the compacted construction and the capacitors very close to the heatsink. Yes, is the only one.